Thus spake the Dominican priest Thomas Aquinas in the 13th century. Aquinas was a master of the syllogism, and his idea of scientific scrutiny was that conclusions had to be based on premises which themselves were either self evident or had been objectively demonstrated. I thought of Aquinas when I wrote a post yesterday about Albert Einstein, who was in the business of putting together premises and conclusions. 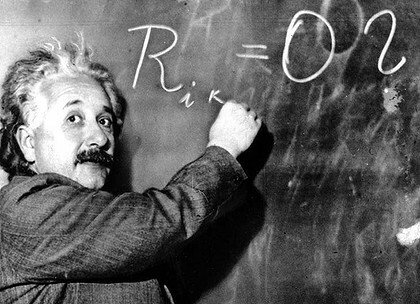 In a sense, Aquinas and Einstein came at the question of the origins of the universe from opposite directions. 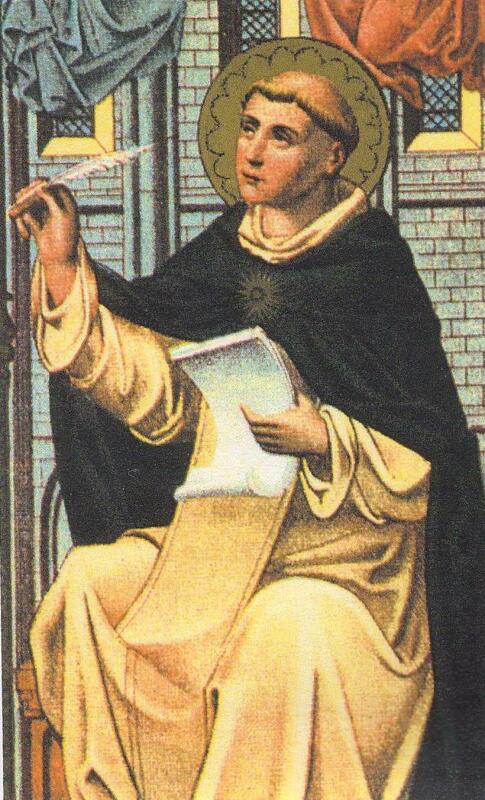 Aquinas was a man of faith, but he believed — and sought to demonstrate in his “Summa Theologica” — that a person could arrive at the existence of a First Cause — God — through reason alone. 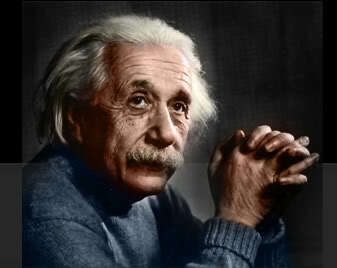 Einstein didn’t believe in God in the sense that Jews and Christians and Muslims do. In that sense, he didn’t believe in a god at all, no matter how hard religious folks try to hear him saying otherwise. 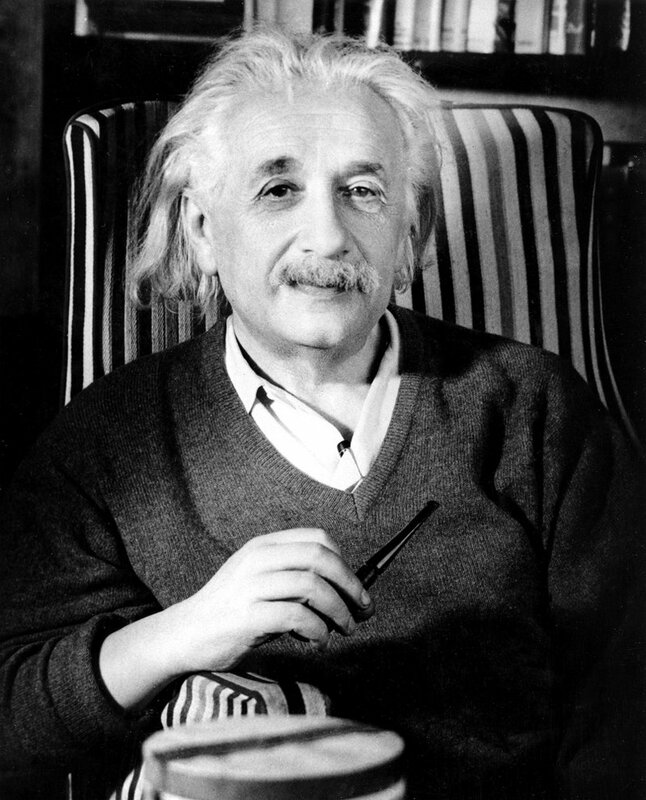 However, Einstein’s lifetime of inquiry into the physical laws that govern the universe did lead him to speculate — forgive me if I don’t express this precisely — that somewhere beyond the seemingly endless questions about the universe must lie some force that governs it. 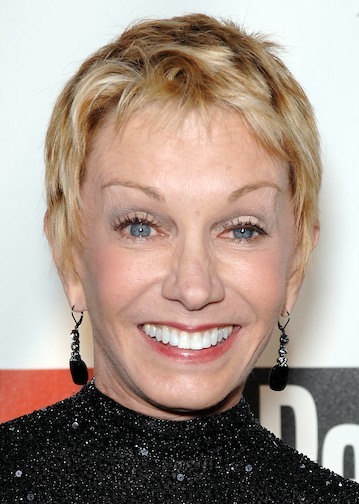 I recently discussed all this — Aquinas, Einstein, God, the origin of the universe — with, of all people, the actress Sandy Duncan. By “of all people,” I don’t mean to imply that there is anything surprising about Sandy Duncan discussing such things. In fact, I gathered she gives such things quite a bit of thought and has had provocative conversations about them with her two adult sons. I only meant that I would be unlikely to talk to Sandy Duncan at all, except that she was scheduled to appear in a new play that examines the outfall that can occur when science and religion collide head-on. 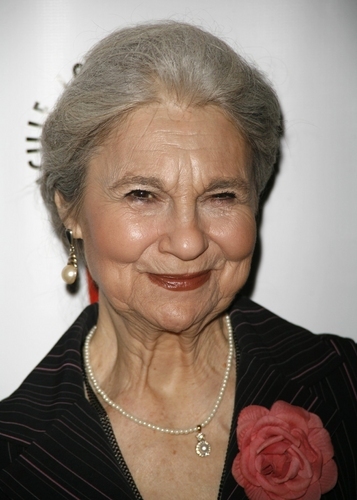 The actress was to play the title role in “Creating Claire” by Joe DiPietro, but she took ill, withdrew from the cast, and was replaced by another talented performer, Barbara Walsh. 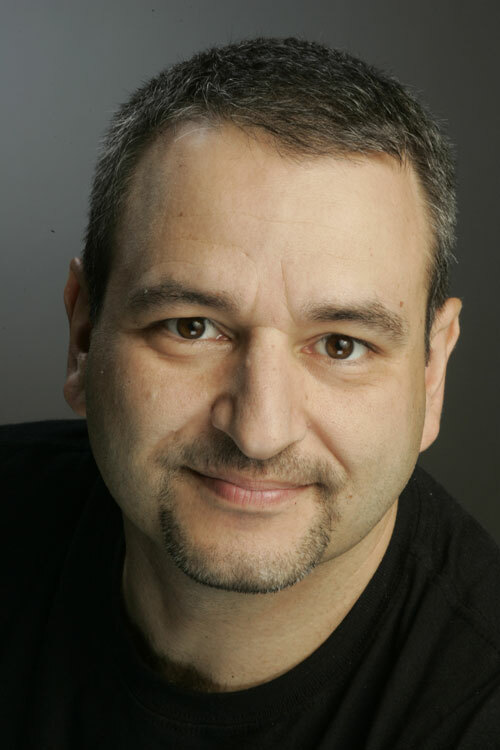 DiPietro’s play begins previews tomorrow night at the cradle of new theatrical works, the George Street Playhouse in New Brunswick. The title character, Claire Buchanan, is a teacher but now works as a docent at the Museum of Earth and Sky in upstate New York. She leads visitors on the Origins of Life Tour, reciting a script that focuses on the evolution of species. The script is the brainchild of Victoria Halstead, museum director and friend of Claire – in that order, as things work out. Victoria encourages a docent to “personalize” the presentation as long as the glosses are innocuous, but Claire is no automaton, especially when a reference in the script to “random mutation” complicates her attempt to understand a fact of her own life. Claire and her husband, Reggie, have an autistic 16-year-old daughter, Abigail, and Claire has been considering how the process described by Charles Darwin could result in an individual such as Abigail. Eventually, Claire’s contemplation creeps into her talks at the museum as she suggests to visitors that the processes of nature may have been – gasp! – designed. Once that genie is on the loose, there is hell to pay, as it were. Victoria — to be played by Lynn Cohen — puts her own belief in science and her vision for the museum ahead of friendship when she learns about Claire’s transgression. Reggie – a high school teacher who has considered his bond to Claire a “mixed marriage” only to the extent that he is an atheist and she is an agnostic — is stunned by this change of Claire’s train of thought. Disagreements over Abigail’s status have already revealed strains in the couple’s relationship; Claire’s public speculation about a “designer” pushes those strains to the breaking point. This play, however, is not a death struggle between science and religion so much as an examination of intellectual openness and honesty. Claire is willing to at least entertain an idea that had been anathema to her but does not insist that others accept that idea. Victoria and Reggie opt to defend their “rightness,” as Duncan called it, regardless of the professional or personal consequences. The implications for contemporary political discourse may be painfully obvious. 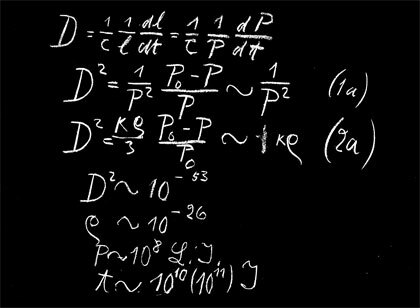 A blackboard with formulas written by Albert Einstein, preserved in the Museum of the History of Science at the University of Oxford. That background explains why I grabbed the opportunity to review a popular biography entitled “Einstein: The Life of a Genius” by Walter Isaacson. This is a coffee table book that contains a limited amount of text in proportion to the number pages and illustrates its points with many photographs and also with facsimiles of several letters and documents. Among these are Einstein’s letter to Franklin D. Roosevelt in which the scientist advised the president to call together a group of experts to study the possibility of developing an atom bomb — something Nazi Germany was known to be doing at the time. 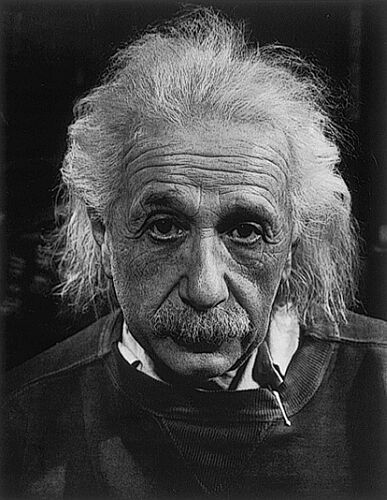 As it happened, Einstein — a pacifist whose work in physics helped pave the way to such weapons — was considered too great a security risk to work on the project himself, what with him being a native of Germany, a socialist, and a Jew. Isaacson records that one of Einstein’s early physics instructors described him as “an extremely clever boy,” but added, “You have one great fault: You’ll never let yourself be told anything.” It wasn’t meant as compliment, but still, this tendency as much as anything else led to Einstein’s achievements in theoretical physics. 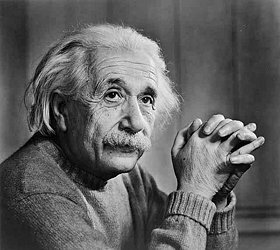 Einstein — like Isaac Newton before him — would not accept anything as settled just because it was handed on to him by authoritative sources. 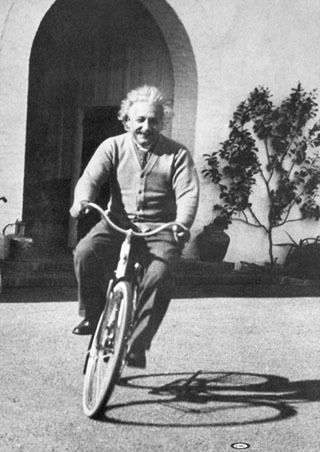 He wondered and questioned and “experimented” with physical phenomena such as light and motion by forming images in his mind, and he changed the world. 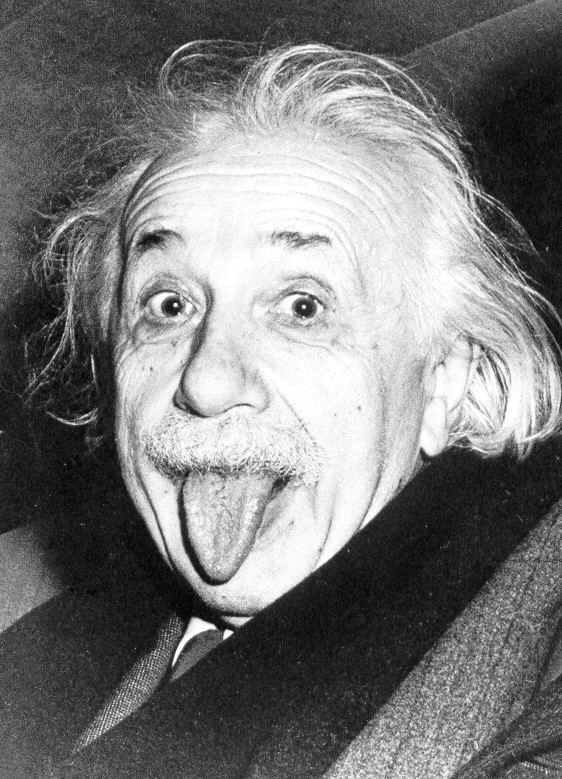 Einstein is a curiosity in a way, because he was one of the most widely known celebrities of his time and his name is part of our language more than 50 years after his death, and yet most of us have little or no idea what he was up to. That doesn’t matter. He deserves his place in our culture if for no other reason than his persistence in questioning even his own conclusions. 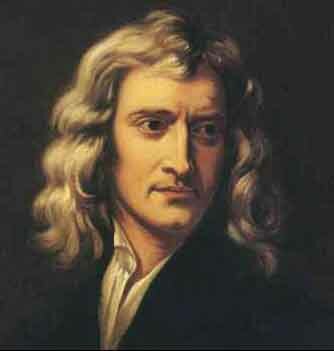 I was working in the faculty room yesterday when one of the instructors asked the open air, “Does anyone know anything about Newtonian physics?” I told him his question was coincidental, because I had just finished reading a book about Isaac Newton, the 17th century physicist, mathematician, and natural philosopher. I think I correctly answered my colleague’s question, which had to do with Newton’s Second Law of Motion: “A change in motion is proportional to the motive force impressed and takes place along the straight line in which that force is impressed.” But while the book I just read explained the achievements for which Newton is still regarded as one of the greatest of geniuses, its purpose is to recount the work of his later life, when he was warden of the Royal Mint — and particularly the relentless detective work with which he brought to justice Britain’s most brazen counterfeiter. 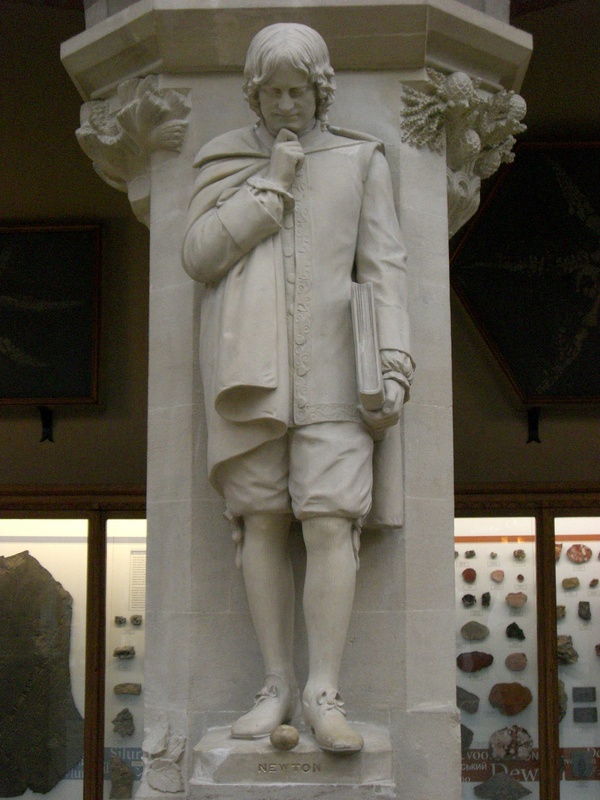 Newton did his signature scientific work at Trinity College in Cambridge, but he lobbied friends for many years to get him a political appointment in London. It finally came in the form of position at the mint, which made the silver coins that were Britain’s only hard currency at the time. When Newton arrived at his office in the Tower of London, the kingdom’s economy was on the verge of collapse, partly because of expensive military operations undertaken by William of Orange and partly because the royal currency was, in a word, disappearing. An old issue of coins was being degraded by so-called “clippers” who shaved bits of silver from the money to be melted down and sold. Meanwhile British silver was leaving the country altogether because it was worth more in exchange for gold in other countries than it was in exchange for commodities in England. The result was a bull market for counterfeiters, including the audacious and dangerous William Chaloner. Newton’s predecessors as warden of the mint had not taken the job seriously except as a source of income, and that was expected of Newton, too. But he applied to the mint the same combination of energy and curiosity that had fueled his discoveries in fields like gravity and the behavior of light and his development of the mathematical system known as the calculus. First, Newton took control of a program already underway when he arrived – the recall and replacement of all British coins then in circulation. This project was limping along when Newton took over, and he put the means in place to accelerate it and get the job done in a fraction of the projected time. Then he turned his attention to the counterfeiters, employing a network of spies and informers and counter-agents and double crossers to gather information and pounce on “coiners” – eventually including Chaloner, whose career as a counterfeiter had had its ups and downs. 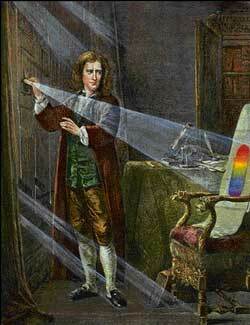 Isaac Newton investigates the refraction of light. Like most such scoundrels, Chaloner made his share of mistakes, and one of them was to publicly claim that the heart of the nation’s counterfeiting problem was in the mint itself, and imply that Newton’s incompetence was partly to blame. Don’t knock the Rock. Newton went after Chaloner with a vengeance, spending hundreds of hours personally interrogating people who could help build a case against the fraud. Chaloner had been in and out of prison several times and had dodged the noose that was reserved for counterfeiters, whom British law regarded as traitors. In Newton, he had met his match and – ultimately – his maker. “Newton and the Counterfeiter,” both informative and entertaining, was written by Thomas Levenson, who is a professor of science writing at MIT. 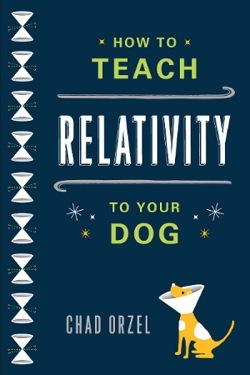 A topic that Levenson discusses throughout this book – in fact, it’s an important thread that runs through all of Newton’s activities – is Newton’s search for contact with God. In fact, Levenson reports that religious matters became the preoccupation of Newton’s life when he had put most scientific inquiry behind him. I discussed that aspect of the book in a column in the Catholic Spirit, and it’s available at THIS LINK. Well, I just got around to reading “Physics of the Impossible” by Michio Kaku, who is a theoretical physicist. In this book, which came out last year, Kaku discusses the possibility that various achievements that human beings have imagined and even tinkered with will become practical realities. We’re talking here about such things as teleportation, telepathy, time travel, invisibility, and visitations from “outer space,” concepts that have been the fodder of science fiction from Jules Verne to Flash Gordon to Star Trek. I don’t know why I was disappointed; I think I already knew the overall thrust of what Kaku would say. Certain of these concepts – invisibility and teleportation, for example – are not contrary to the known laws of physics and may be achievable within a forseeable amount of time, where what is forseeable might be measured in hundreds of years. (I’m oversimplifying this.) 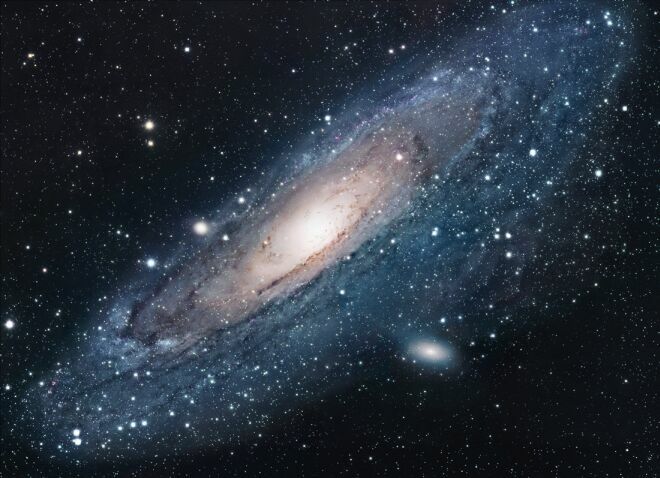 Others, such as travel to other galaxies, are not contrary to the known laws of physics but are beyond the capabilities of a civilization of our rudimentary level of advancement. Still others — perpetual motion and travel into the past, for example — are contrary to the known laws of physics and impossible, period. Intellectually, I’m not surprised, but I’m disappointed nonetheless. I would rather have continued nursing the fantasy, born while I watched Flash Gordon and Doctor Zarkov matching wits with Ming the Merciless, that some day, somehow, I would board a space-going vessel and leave the gravitational pull of this planet, at least for a long weekend. But Kaku has taken the wind out of my sails, if I may be allowed the metaphor, and I look with a twinge of melancholy at the images of Saturn and her moons being transmitted by the Cassini craft — and particularly the one in which Alpha Centauri gleams in the perpetual night sky far beyond the great planet’s rings (http://saturn.jpl.nasa.gov/index.cfm). A friend of mine told me a couple of years ago that her employer had reserved a place for her on a voyage into space as soon as such a thing became available to consumers. That would have been all right as far as it went, but the trip envisioned would have been a little more than 300 miles each way. My ambition far exceeded that, and Kaku has made it clear that I was deluding myself. Well, it was a relatively short time ago that some of the ideas that Kaku fools around with — such as an electron that can be in two places at the same time — were not only unknown but unimagined. So rather than put my vacation to Alpha Centauri out of my mind, I’ll put it on hold. After all, I’m only 66 years old. In the meantime, I still have to see the Grand Canyon.